The aim of this study was to present the results of analyses conducted by means of complementary analytic tools in order to verify their efficacy and the hypothesis that Kohonen’s neural models may be applied in the classification process of swimmers. A group of 40 swimmers, aged 23 ±5 years took part in this research. For the purpose of verification of usefulness of Kohonen’s neural models, statistical analyses were carried out on the basis of results of the independent variables (physiological and physical profiles, specific tests in the water). In predicting the value of variables measured with the so called strong scale regression models, numerous variables were used. The construction of such models required strict determination of the endogenous variable (Y – results for swim distances of 200 m crawl), as well as the proper choice of variables in explaining the study’s phenomenon. The optimum choice of explanatory variables for the Kohonen’s networks was made on the grounds of regression analysis. During statistical analysis of the gathered material neural networks were used: Kohonen’s feature maps (data mining analysis). The obtained model has the form of a topological map, where certain areas can be separated, and the map constructed in this way can be used in the assessment of candidates for sports training. 1. Abbot A., Collins D. A theoretical and empirical analysis of a ‘State of the Art’ talent identification model. High Ability Studies. 2012; 13 (2): 157–178. 2. Abbot A., Collins D. Eliminating the dichotomy between theory and practice in talent identification and development: considering the role of psychology. 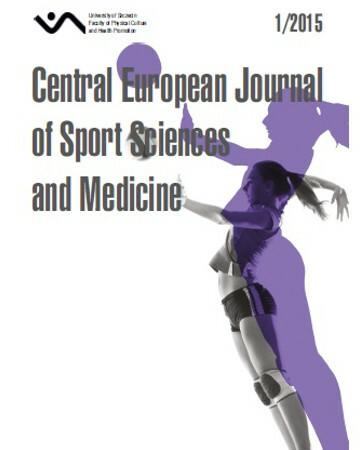 Journal of Sport Sciences. 2004; 22 (5): 395–408. 3. Bartlett R. Artificial intelligence in sports biomechanics. New dawn or false hope? Journal of Sports Science and Medicine. 2006; 5: 474–479. 5. Dutt-Mazumder A., Button C., Robins A., Bartlett R. Neural Network Modelling and Dynamical System Theory. Sports Med. 2011; 41 (12): 1003–1017. 7. Glazier P.S. Game, set and match? Substantive issues and future directions in performance analysis. Sports Med. 2010; 40 (8): 625–34. 12. Konen W., Maurer T., Von der Malsburg C. A fast dynamic link matching algorithm for invariant pattern recognition. Neural Networks. 1994; 7: 1019–1030. 16. Maszczyk A., Zając A., Ryguła I. A neural network model approach to athlete selection. Sports Engineering. 2011; 13 (2): 83–93. 17. Maszczyk A., Roczniok R., Waśkiewicz Z., Czuba M., Mikołajec K., Zając A., Stanula A. Application of Regression and Neural Models to Predict competitive swimming performance. Perceptual and Motor Skills. 2012; 114 (2): 610–626. 18. Mester J., Perl J. Unconventional simulation and empirical evaluation of biological response to complex high training loads. Sports Science, Rome 1999. 19. Murakami M., Tanabe S., Ishikawa M., Isolehto J., Komi V., Ito A. Biomechanical analysis of the javelin throwing at 11th World Championships in Athletics in Helsinki. International Association of Athletics Federation. New Studies in Athletics. 4. 2005. 20. Perl J., Lames M., Glitsh U. Modellbildung in der sport-wissenschaft. Beitrage zr Lehr und Forchung im Sport, Bd 132, Schorndorf, Hofmann. 2002. 21. Perl J., Dauscher P. Dynamic pattern recognition in sport by means of artificial neural networks. In: Begg R. Palaniswami M. editors. Computational intelligence for movement science. Hershey (PA): Idea Group Publishing. 2006: 299–318. 23. Roczniok R., Ryguła I., Kwaśniewska A. The use Kohonen’s neural networks in the recruitment process for sport swimming. Journal of Human Kinetics. 2007; 17: 75–88. 26. Zadeh L. From computing with numbers to computing with words. International Journal of Applied Math and Computer Science. 2002; 12 (3): 307–324.